You're the Expert, starring Richard Primack! A few weeks ago, I had the rare experience of watching three comedians try to guess what my advisor, Dr. Richard Primack, studies for a living. I watched on from the audience of the radio show “You’re the Expert” as the comedians— who didn’t seem to mind being laughed at— asked strange and occasionally insightful questions about climate change. During the opening game of 20 questions, the comedians determined that Dr. Primack uses a notebook, that the notebook is college-ruled, and then eventually one of them guessed he was an environmentalist-- close enough to end the round! Many games followed, my favorite of which had the comedians guessing whether a comment was written on a website for climate change skeptics or a LOST message board. As host Chris Duffy pointed out, Dr. Primack demonstrated a real talent for steering the conversation back to useful information, which comes in handy when you are outnumbered by comedians. From June 15 to 25, I visited Turkey to meet with Ali Donmez, a Turkish botanist and leader of the team that translated the Essentials of Conservation Biology into Turkish. We traveled across northern and eastern Turkey, visiting national parks and other areas of interest with a goal to locating examples from Turkey to be included in a future edition of the textbook. A highlight of the trip was to observe the rich display of wildflowers associated with this sunny, dry climate, including huge mounds of crown vetch flowers in fields, reddish pink clumps of Saponaria flowers growing on roadside embankments, and alpine flowers amidst rock outcrops on mountain peaks at Ilgaz National Park. Another highlight was the great abundance of water birds at the Bird Paradise National Park and the surrounding colorful but stark landscape near Baypassir. Many national parks were surprising for their emphasis on picnicking, with a notable absence of hiking trails, biological research and inventorying, and conservation education. The conclusion of the trip was a conference of biology professors in the beautiful northern city of Eskesehir, which included a visit to an ancient Phrygian temple and ruins. "To be admitted to Nature's hearth costs nothing. None is excluded, but excludes himself. You have only to push aside the curtain." Several research projects from the Primack lab have utilized data from herbarium specimens. One example (Primack et al. 2004) used herbarium specimens to track changes in flowering over time (see Climate Change for article links). 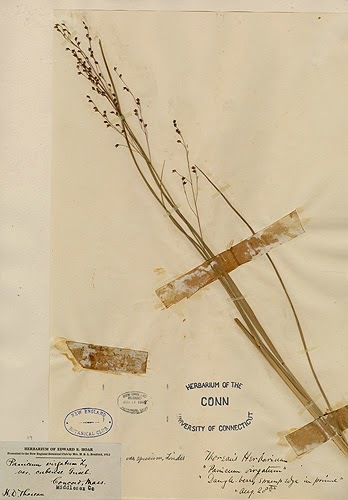 Herbarium specimens are plants that have been pressed, preserved and attached to paper, then saved in collections. During Thoreau's time, and up through the 1920's, it was a popular pastime to collect plants and save them as specimens. Even Thoreau saved plants that he collected during his walks. Over the years this fad has fallen out of favor, but collections from the past 200 years remain to provide valuable insight for researchers interested in plant taxonomy, systematics, genetics, range changes and of course, climate change. Concord, MA. It is now housed at the UCONN herbarium. Around the world, most specimens exist as only the physical object and there is limited digital information available. If a researcher needs information about the specimen they must visit the herbarium, find the specimen, and examine it in person. 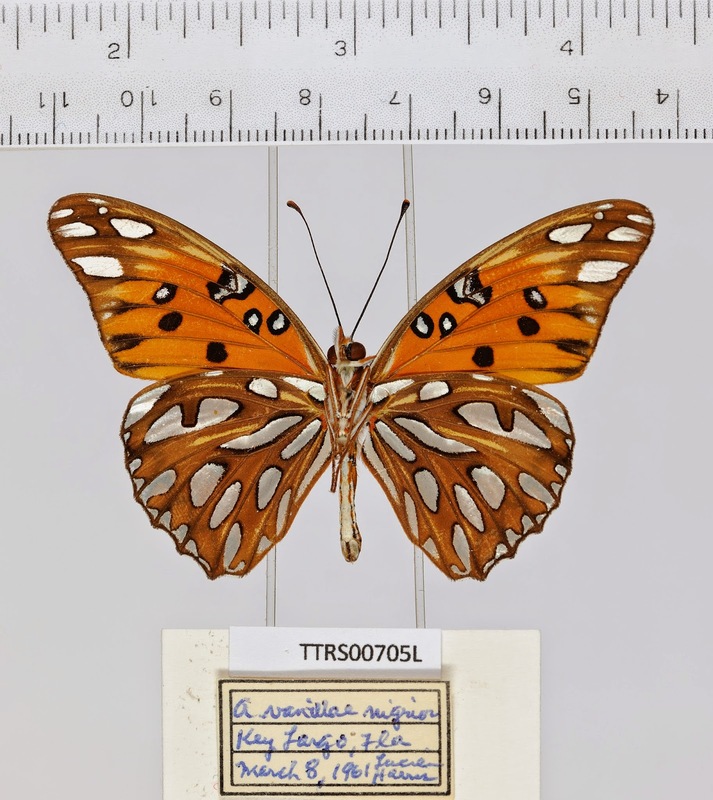 In the US, a newly formed organization, iDigBio, has been working to make information about these and other biodiversity specimens available online. iDigBio works with museums to image specimens and digitize information about species, locality, date and collector. Projects like these rely heavily on help from citizen scientists to transcribe information from the labels into a digital format. Once these data are transcribed, researchers can more easily access this information that spans the globe and two centuries worth of collections. Are you interested in transcribing herbarium labels, expedition notes and other collections information? Notes from Nature is one site where you can take a peek into the past and help liberate specimens from museum cabinets!